There's something new in Muskeg Lake. kihiw waciston School, which is Cree for "eagle's nest", has a new land-based education centre. 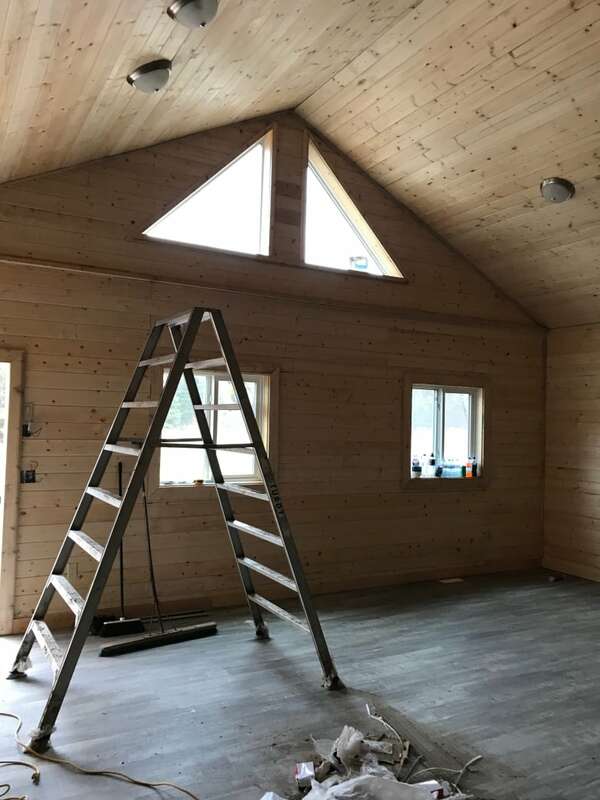 It's an open concept cabin-style building and construction is about 95 per cent complete. The land around Muskeg Lake Cree Nation is dotted with lakes and bodies of water. The map of the surrounding area looks as though someone took a paintbrush and smattered a plain piece of paper with blue. The reserve has almost 2,000 members, but only around 400 of them live on reserve. But there's something new in Muskeg Lake. The kihiw waciston school, which is Cree for "eagle's nest", has a new land-based education centre. 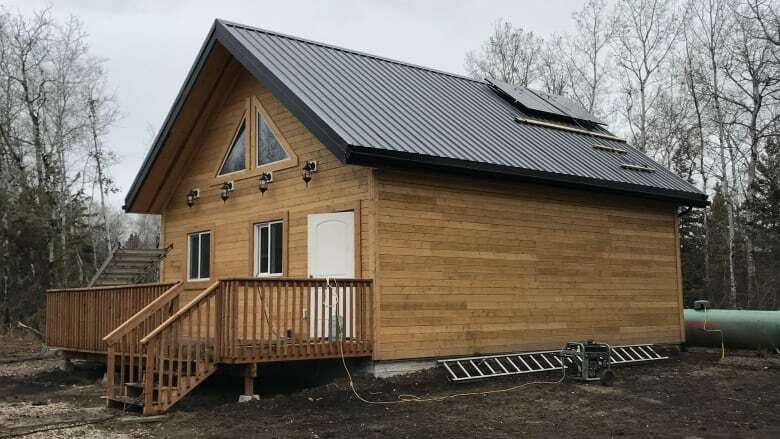 It's an open concept cabin-style building and construction is about 95 per cent complete. "It fills the need of hands-on education," Principal Jack Rayne said in an interview with CBC Radio's Blue Sky. Do you have a good news story from your community you'd like to share? Email us. Rayne said the school has started doing land-based activities like picking sage and sweetgrass even though the centre is not quite complete. "The kind of reactions that we get from our students is priceless." Rayne said the building gives them a place to process rabbits, skin moose and prepare hide. "[Our students] learn in different ways and one of the biggest ways is the hands on, having them learn hands on by going out to the land and actually getting their hands dirty." Muskeg Lake Cree Nation has also planted a food forest. It doesn't follow straight lines like an orchard, but rather "the lines of the land", according to Glenna Cayen, who is the community program coordinator with Canadian Feed the Children working out of Muskeg Lake. She said on Blue Sky that lots of kids were involved in the planting of cherry and apple trees and many other plants as well. "[The kids] were really excited… they really got into it and you could tell they were digging right in," she said. She said not even the gusty day stopped everyone from coming out. "We had elders there as well, so [we're] really grateful that they participated." Cayen said that being self-determining in food production is an important part of reviving Cree traditions. "We want a functional and beautiful space for the community so that they can go there for the harvest, perhaps we can have workshops because I'm planning on building an elders rest area," she said. They just planted the trees earlier this month, so Cayen is hopeful for the spring. She said she hopes to add more elements to the food forest. Blue Sky is doing a monthly segment about good news happening in small communities around Saskatchewan. Have an idea for our next segment? Email us.